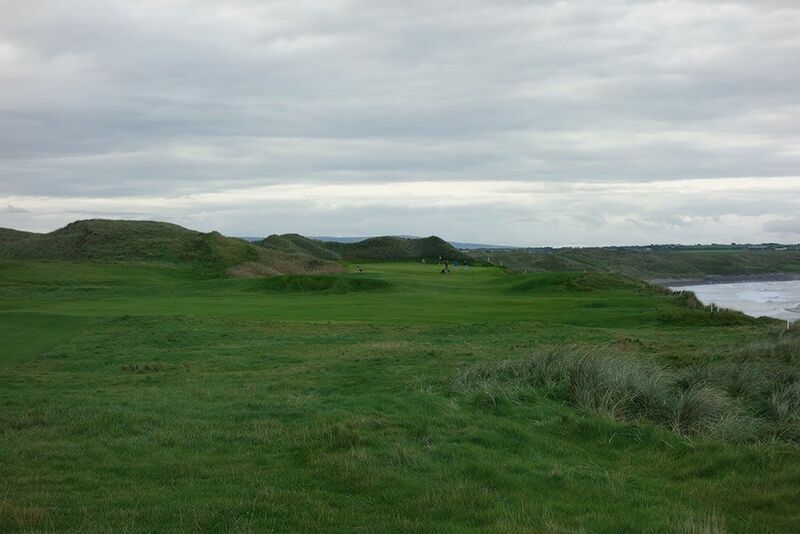 Course Website: Official Website - Visit Ballybunion Golf Club (Old)'s official website by clicking on the link provided. Accolades: Ranked 2nd in Ireland by Golf Course Gurus. 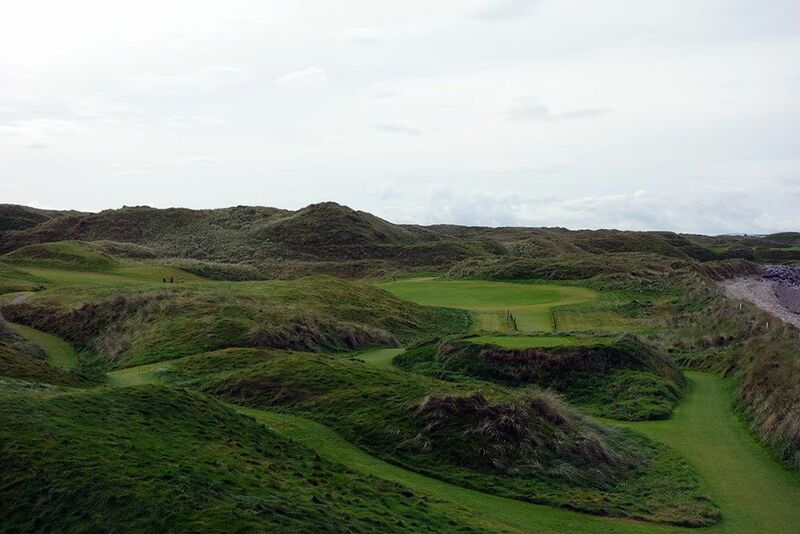 What to Expect: I absolutely loved Ballybunion. 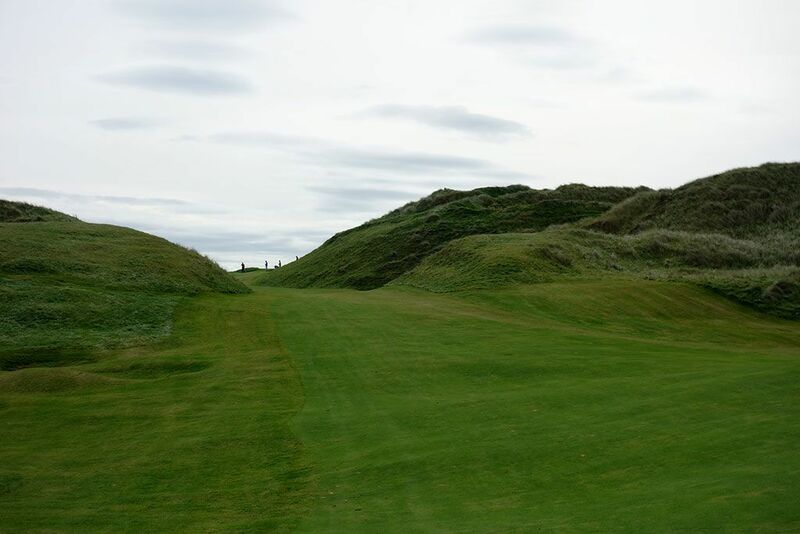 From the opening tee shot with a graveyard on your right to the final tee with the ocean rolling to your back, Ballybunion is a great, and at times quirky, ride from start to finish that you'll want to enjoy over and over again. 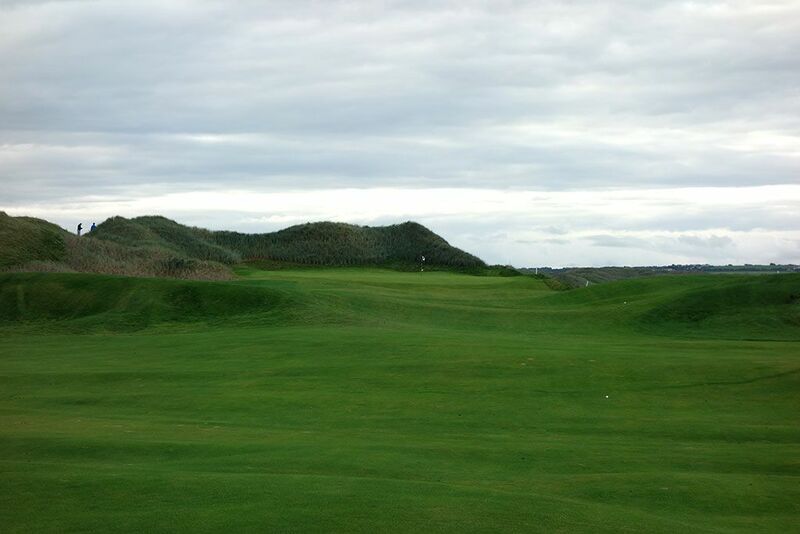 One of the quirks at Ballybunion is that you'll tee off over the previous green you played multiple times during the round, a rare occurrence indeed and one you would never find on a modern course design. Before arriving I'd heard that Ballybunion started with six forgettable holes and finished with 12 great holes, but such an evaluation doesn't give near enough credit to the first two holes which are a great way to start the round and then the 6th hole that begins the introduction to the ocean. That being said, the 7th hole truly starts a remarkable stretch of holes that are memorable, challenging, and scenic all rolled up into one. Holes 2, 7, and 11 are some of the best in Ireland if not the world with the 11th being named after Tom Watson due to his deep fondness for it. The terrain is quite hilly and the course is walking-only so you need to be in fair shape both in body and with your golf swing to take on this challenging track. 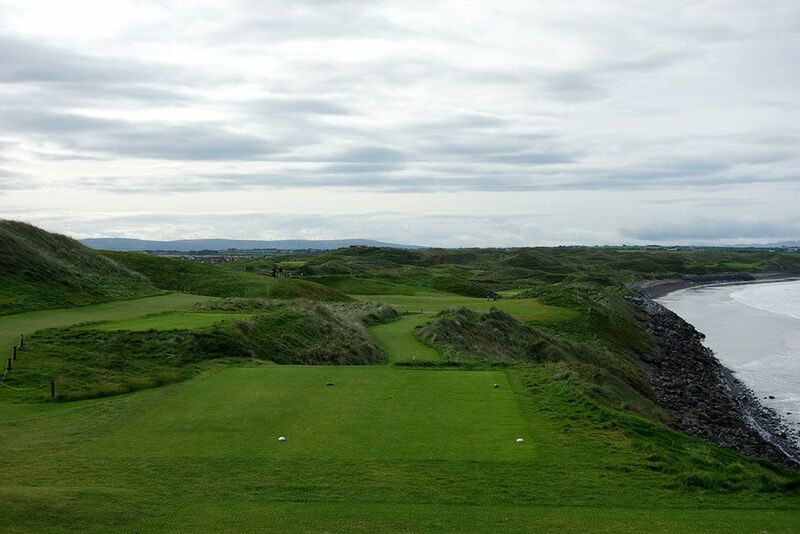 I've played back to back par threes before, but I don't think I've ever played three par threes in a four holes stretch like Ballybunion offers on holes 12-15 with #15 being an exceptional downhill one-shotter that plays towards the ocean. Ballybunion is maintained in good shape, but not exceptional due to the high number of round the course hosts throughout the year. 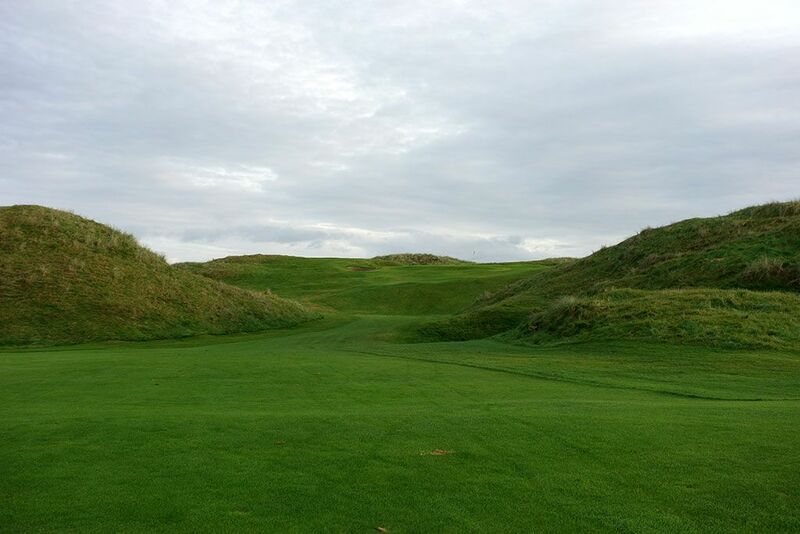 It is tough to express just how good Ballybunion is as a links and how unique it is in its routing, but suffice it to say, Ballybunion in an absolute must-play course and any trip to Ireland devoid of it is severely lacking. 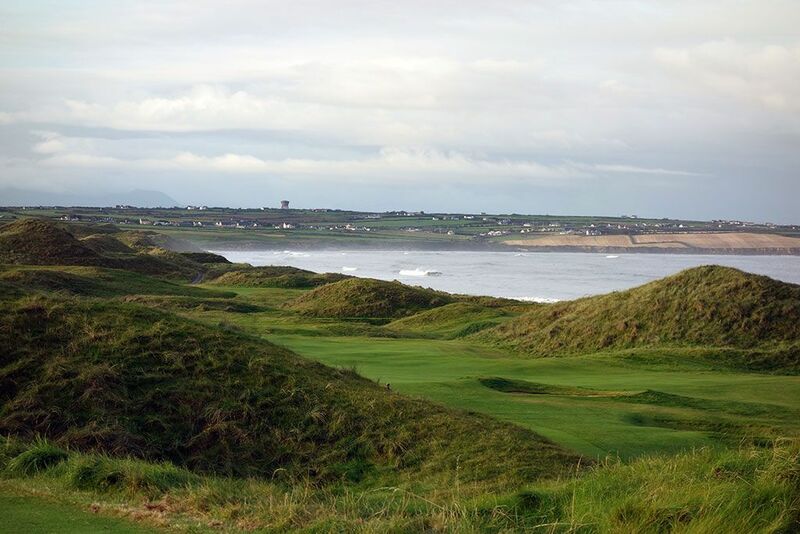 On a side note, the omission of Ballybunion's Old course from Golf Digest's Top 100 Courses in the World list is an exclusion I can't begin to wrap my head around. Green 71 6060 68 ??? Signature Hole: 11th Hole – 473 Yard Par 4 – The signature hole of Ballybunion and conceivably the signature hole of the entire Emerald Isle. The demanding 11th hole, famously known as Tom Watson's favorite and now named after him, features one of the most thrilling settings and terrain for a golf hole you'll ever come across. The hole tumbles down ten feet from tee to green as it hugs the dune edges overlooking the rocky coastal waters 25 feet below. From the back tee players are afforded 300 yards of length to play to before the fairway goes through a roller coaster-like terrain climbing up and down through the surrounding dunes. The approach shot plays through a bottleneck opening to a green fronted by a valley and surrounded by dunescape. 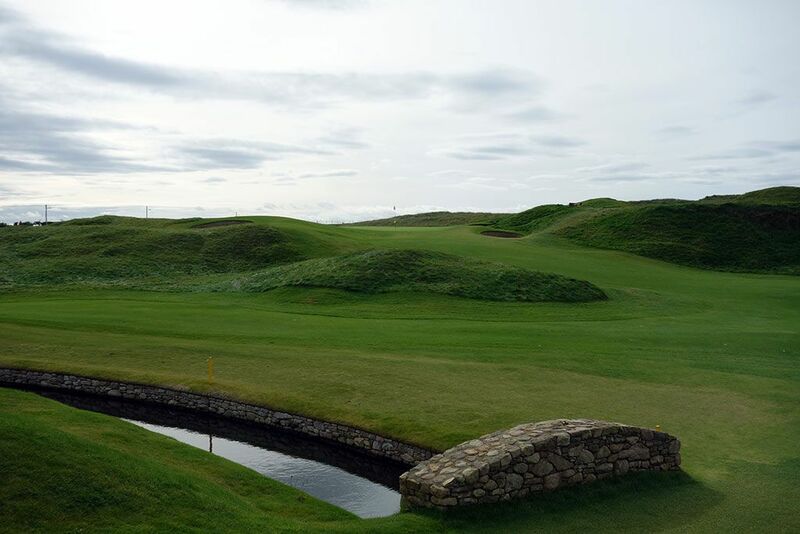 Since this hole plays directly south down the coastline, the prevailing wind will be in your face and slightly from the right which makes reaching this green in regulation a feat few players will accomplish. 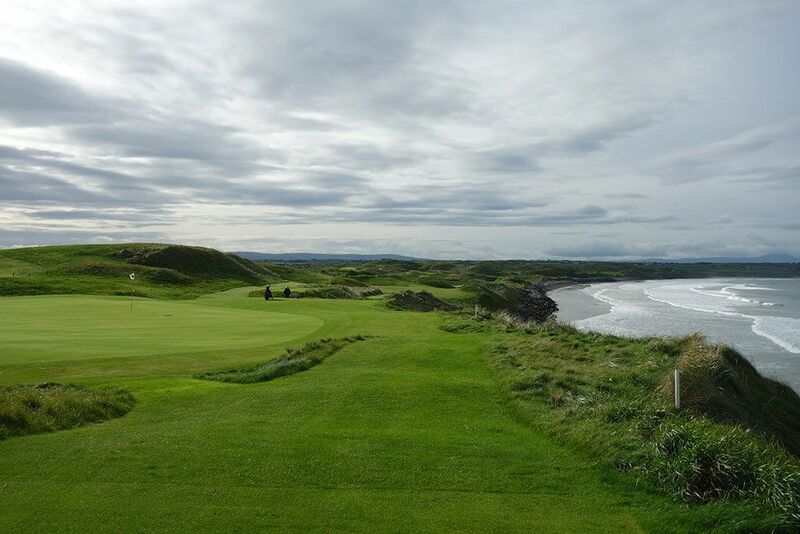 When all is said and done, the 11th at Ballybunion stands as one of the finest golf holes in the world and the all time favorite for many of Ballybunion's visitors. Best Par 3: 15th Hole – 216 Yards – The beautiful downhill 15th is a lengthy one-shotter that plays towards the Atlantic Ocean where you'll see waves curling in as a background. The tee sits on a sand dune and plays over and through the surrounding dunes to two-tiered green protected by a small valley in the front, a pair of bunkers on the right, a single bunker on the left, and a solo bunker in the back that doubles as a boundary between the 15th green and the coastal 16th tee. It is simply a great hole that ends a four hole stretch which features three par 3s. Best Par 4: 7th Hole – 434 Yards – It doesn't get as much hype as the all-world 11th hole, but the 7th is a fantastic two-shotter in its own right and more player friendly as it measures nearly 40 yards shorter and has a more inviting green site. I can't help but think that Tom Doak drew some inspiration from this hole when designing the 4th hole at Pacific Dunes that similarly play directly south down the coastline and finishes at a green site framed by a dune on the left and rear while the right side falls off into the ocean. 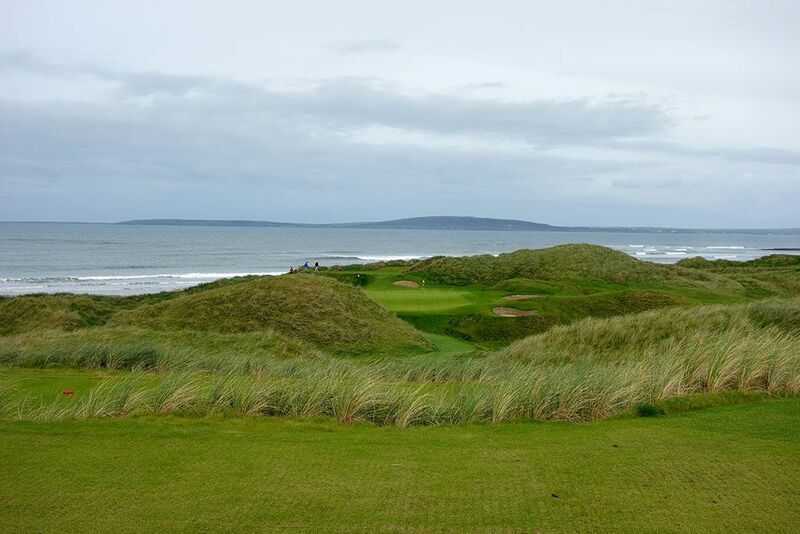 One of the best views on Ballybunion is from the top of the dune resting behind this green. Best Par 5: 16th Hole – 509 Yards – A nearly 90 degree dogleg left, the 16th is a great risk/reward par five that rewards the bold and successful tee ball. On the tee players can see the fairway straight ahead of them, but the ideal line is a 270 yard poke over the dune left of the section of fairway you can see which will land in the perfect spot between the dunes and leave you less than 200 yards to the green. The fairway narrows to a claustrophobic 15 yards during its ascension to the putting surface which sits 40 feet above the beginning of the fairway. Thinning an approach shot here can result in an awkward retrieval as the cemetery you skirted on the 1st fairway is found beyond the 16th green. 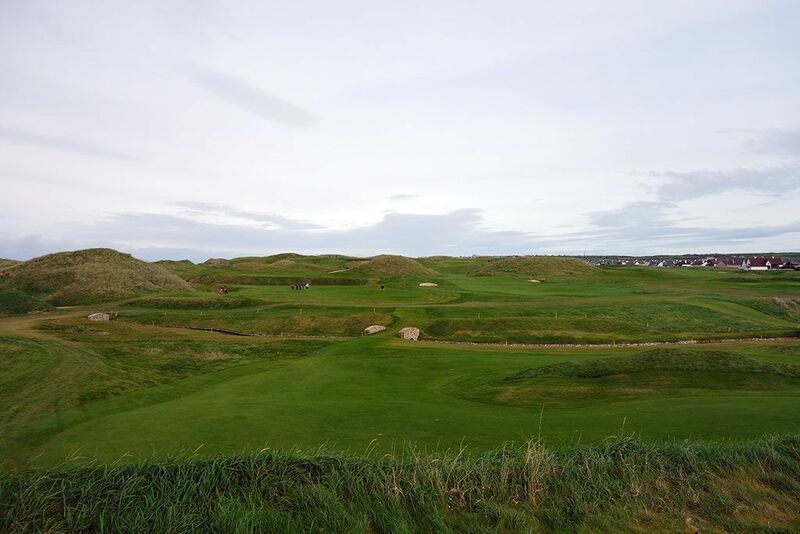 The dunes surrounding the green mark the high point of Ballybunion's Old course and boast incredible panoramic views of the course and ocean. Birdie Time: 13th Hole – 488 Yard Par 5 – Anytime you have a par five measuring under 500 yards, you ought to be licking your chops at the prime opportunity to score under par. As such, Ballybunion's defense of par becomes vulnerable on the short 13th. The tee shot has nothing to fear so feel free to cut loose on your driver and set up as short of an approach as possible as the second shot is virtually the only place you can get in trouble here. A creek cuts through the fairway 75 yards short of the middle of the green that is defended by two bunkers on the right and one on the left. 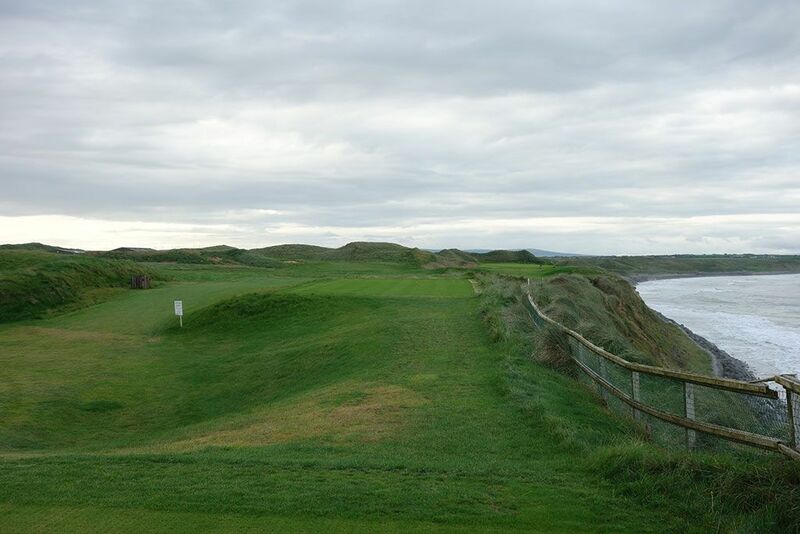 Ballybunion has plenty of challenging holes, but this isn't one of them so take advantage and pick up a birdie . . . or even an eagle. 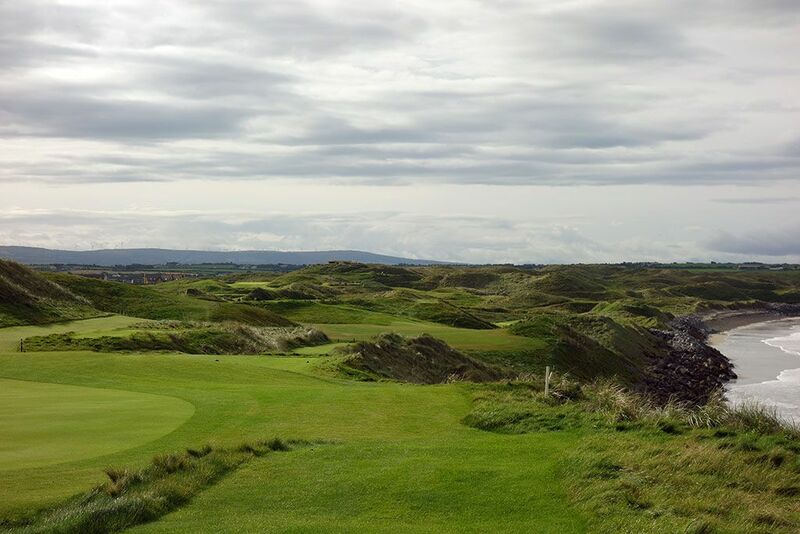 Bogey Beware: 2nd Hole – 445 Yard Par 4 – Ballybunion wastes no time introducing you to the dramatic dunes and elevation changes found at this enchanting property that Mother Nature seemed to custom create for a golf course. The tee shot plays over a creek to a landing area boasting four bunkers before the fairway ascends 25 feet up to the green and narrowing to a paltry seven yards at one point as it squeezes between the dunes. A bunker is found on each side of the sloping edges of the putting surface, but convincing yourself of taking enough club to climb the hill is the bigger concern here. Greens in regulations are a rare commodity here while bogeys and "others" are a dime a dozen. 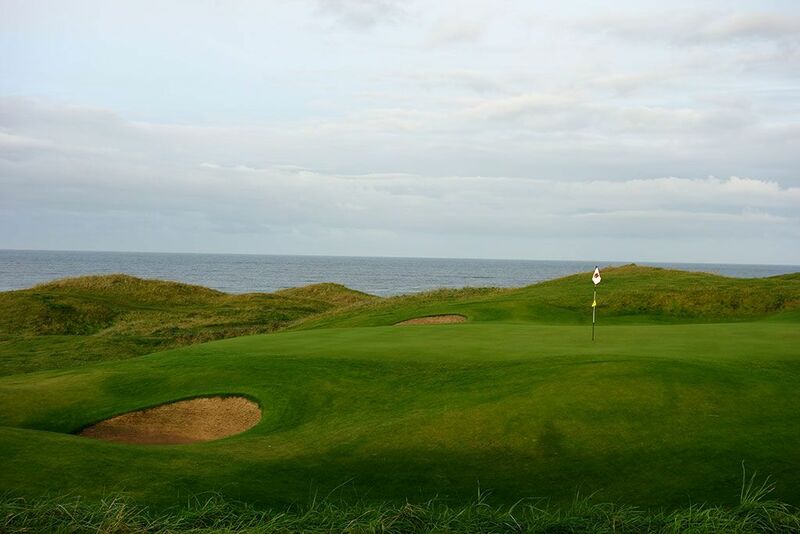 Once you reach the green, your climb is rewarded with perhaps the most spectacular view at Ballybunion.